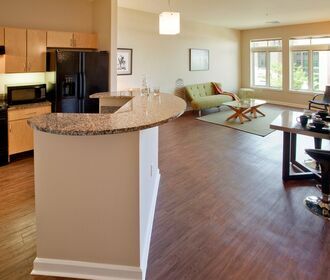 Life at Arvada Village Apartment Homes is peaceful, relaxing and welcoming. Located in the quiet neighborhood of Arvada, Colorado, this community is not only ideally situated near Denver but is also near convenient shopping, dining and entertainment options in Olde Town Arvada. 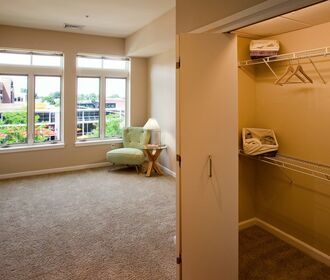 At Arvada Village, your home is a place of comfort and convenience. 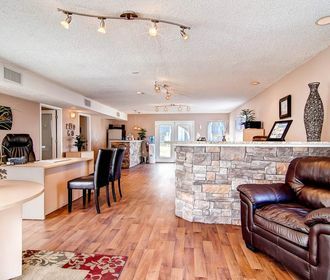 When you select one of our available one, two or three bedroom apartments for rent, your home will have ample storage space, air conditioning and the choice of a patio, deck or balcony. Each home also provides a blend of wood-style flooring in the kitchen, bathroom and entryway and carpeting in the bedroom and living area. Within the community, you will have access to numerous amenities. You can work out in the fitness center, swim in the pool, send emails from the business center, take younger residents to the playground or play fetch with your pet at the dog park. The community also has an on-site laundry facility in every building. Designed with comfort and convenience in mind, Arvada Village is a peaceful community in a quiet neighborhood. Schedule a tour to see if Arvada Village is right for you.